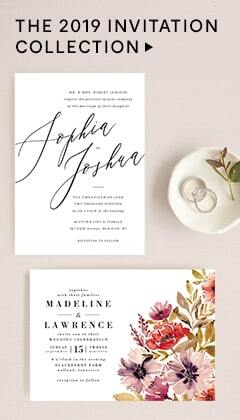 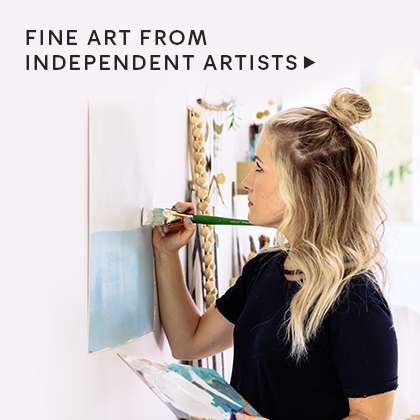 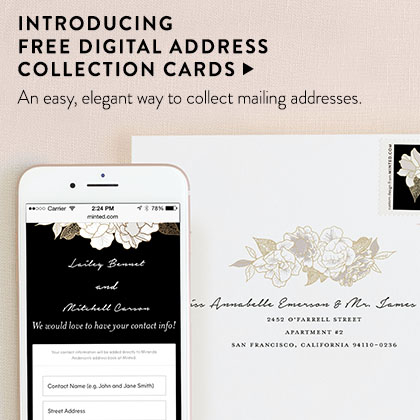 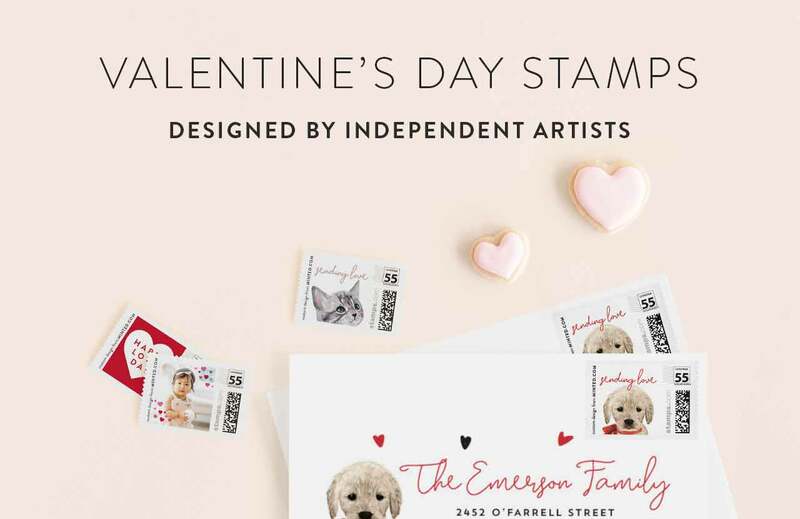 Complete the look of your Valentine’s Day correspondence with custom stamps from Minted. 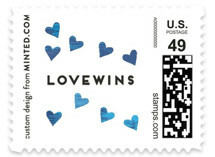 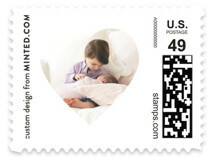 Our custom stamps are recognized by the U.S. 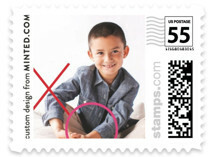 Postal service and can be used for mail originating in the United States. 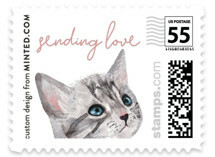 These gorgeous stamps are available for postcards, standard mailings under one ounce, and odd shaped mailing or mailing up to two ounces. 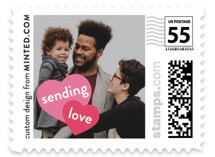 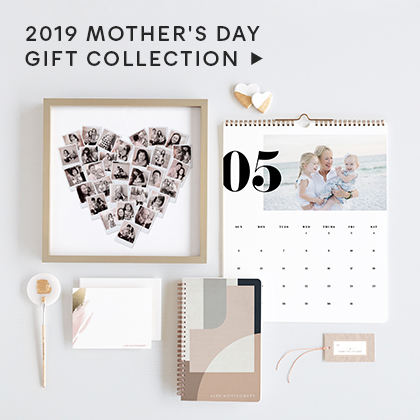 Choose a photo design and show off the family on the outside of the envelope, or highlight beautiful independent design and chose a stamp without. 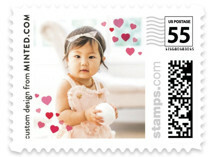 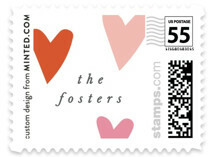 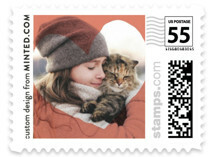 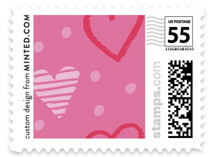 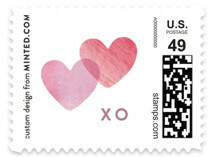 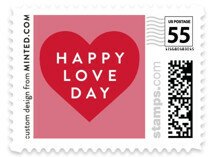 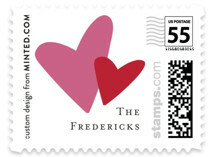 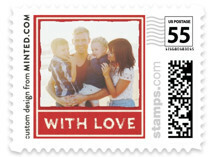 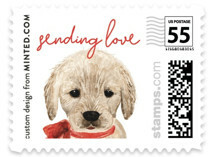 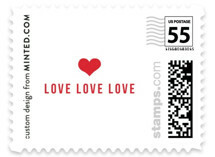 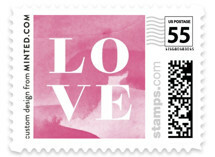 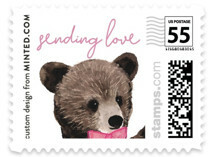 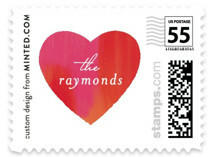 No matter the style you cannot go wrong completing your valentine’s mail with a stamp to match the season. 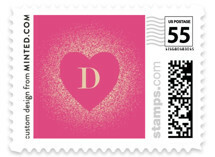 Now that you have the perfect stamp, don’t forget to find the perfect valentine cards to send to friends and family.